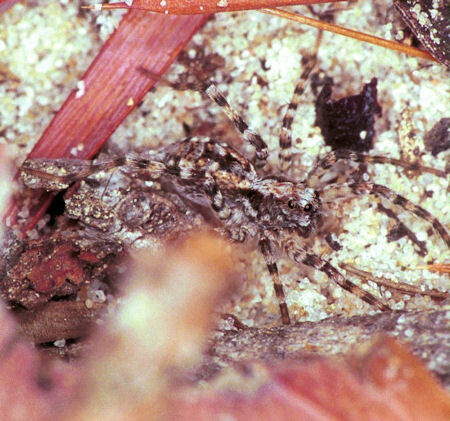 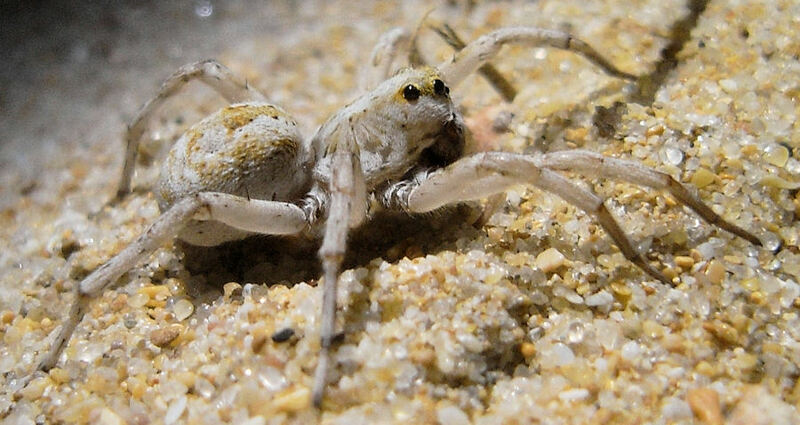 These spiders are real hunters and have excellent eyesight. 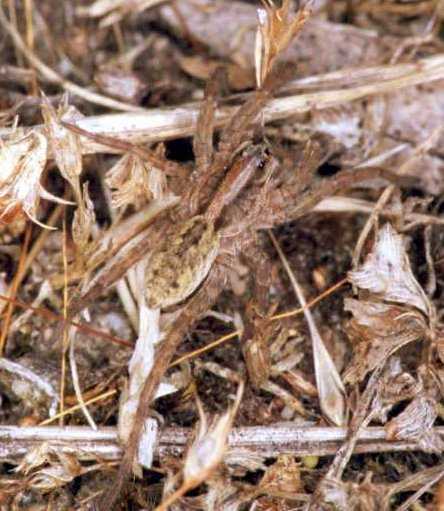 They are rather big and are easily spotted on places in the sun, often at damp places. 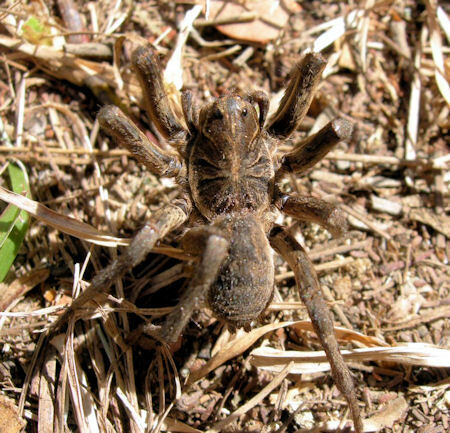 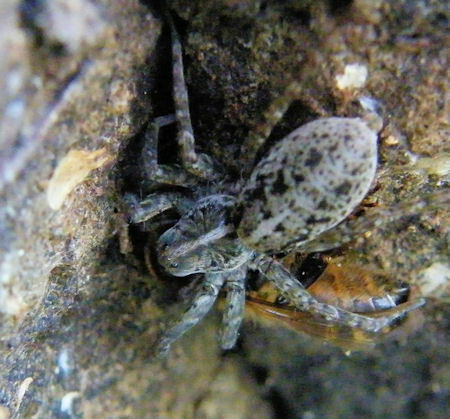 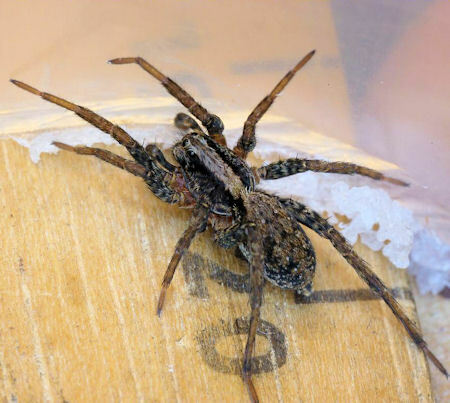 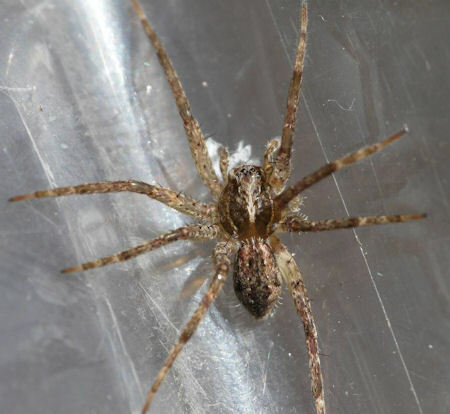 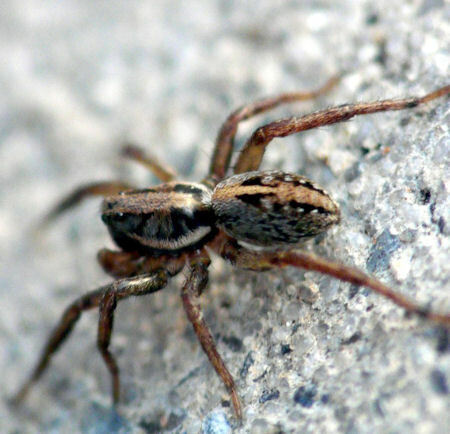 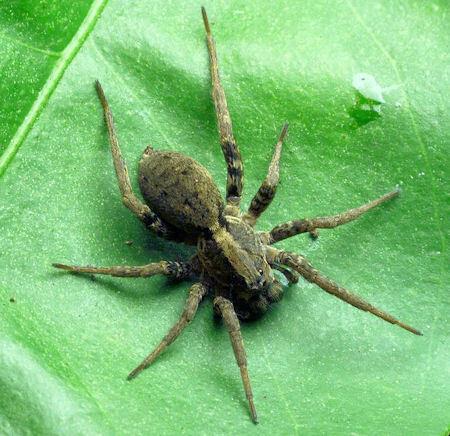 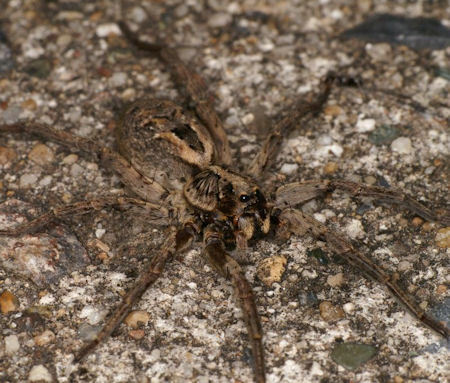 If you spot spiders speeding away on the ground and several spiders have white sacs attached to their spinnerets at the back of their body you can be sure you deal with wolf spiders. 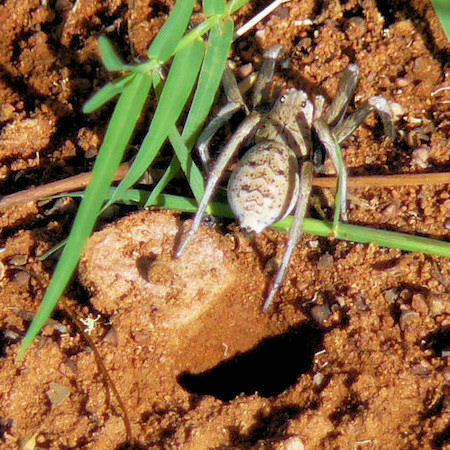 The spider lives in every variety of terrestrial habitats. 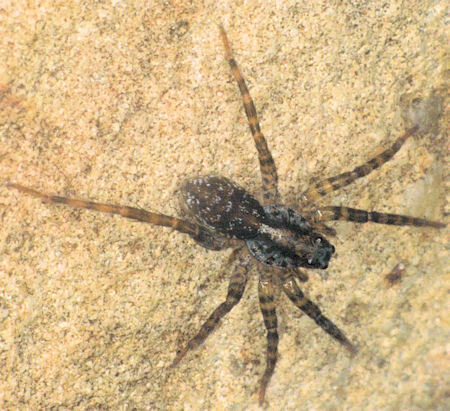 They can even been found on the water skating over it and even diving under the surface catching small fish and insects. 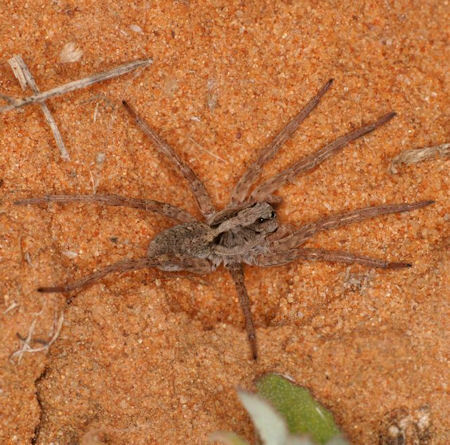 In Australia ten species are described in this genus. 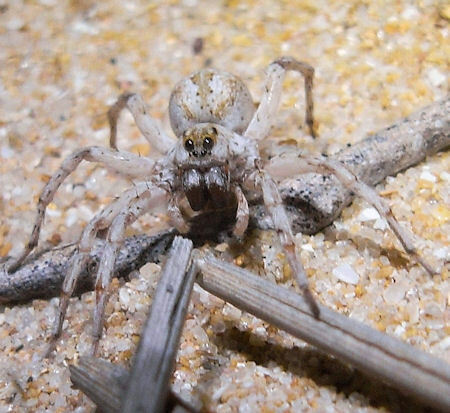 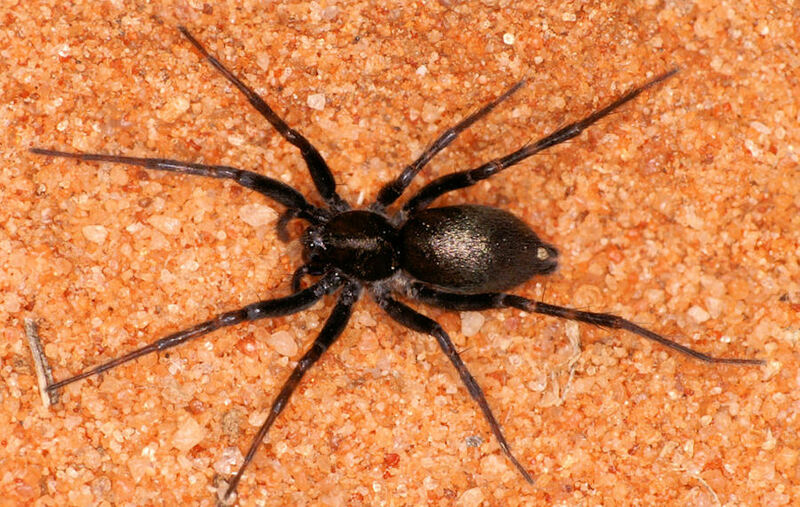 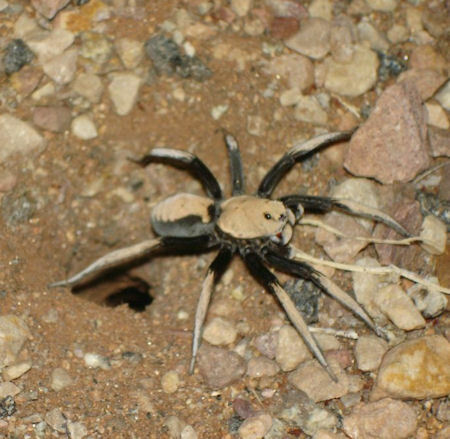 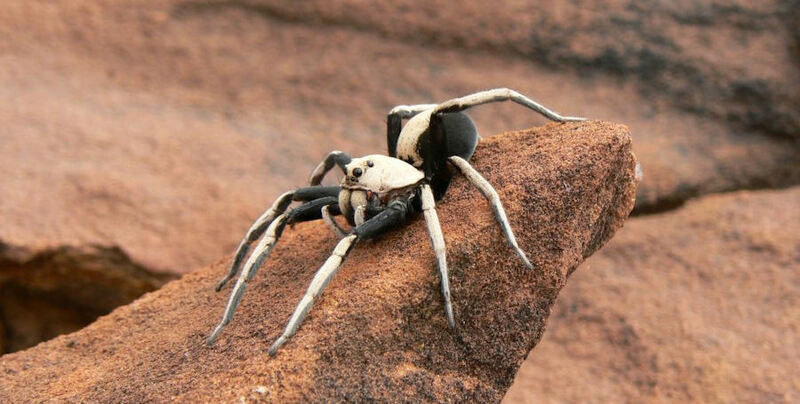 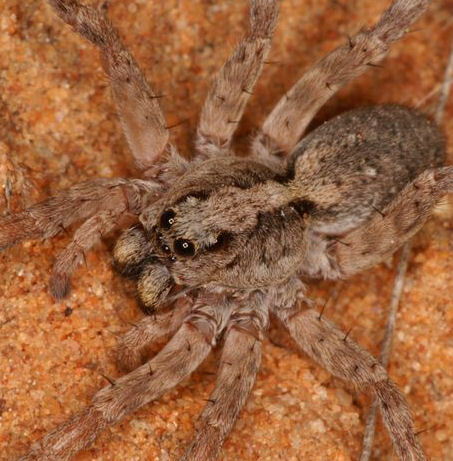 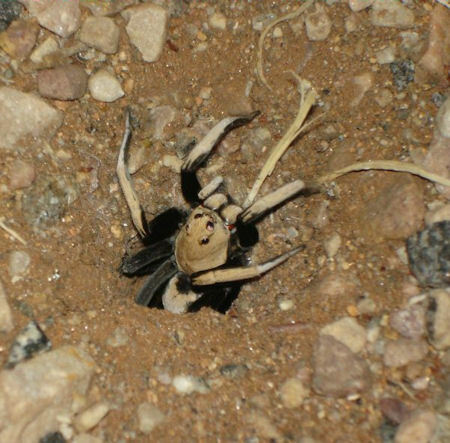 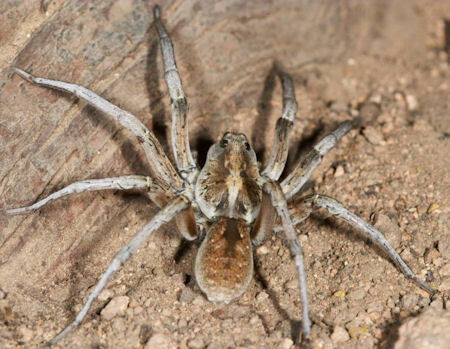 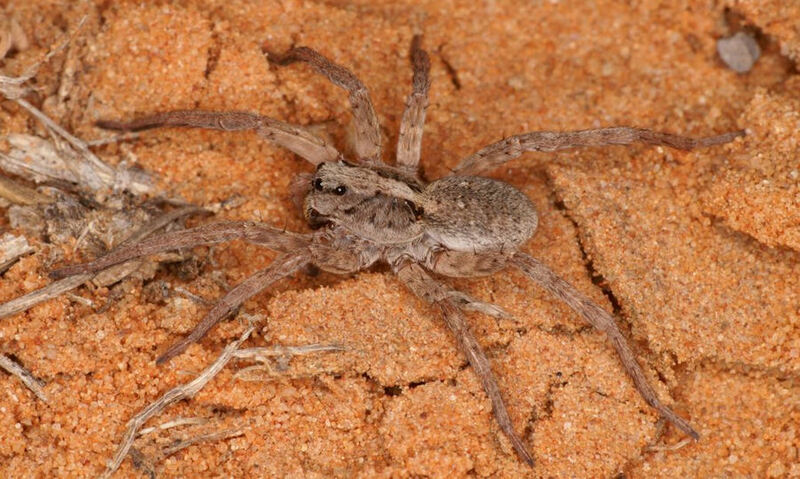 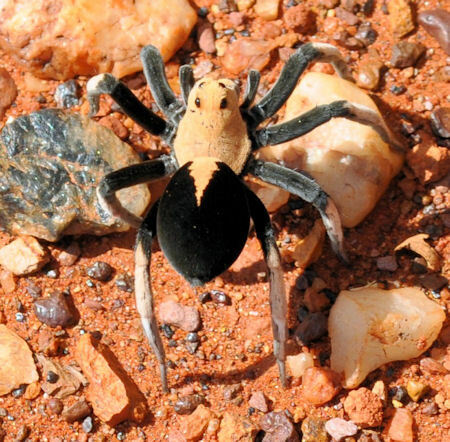 Hoggicosa bicolor is one of the spectacular wolf spiders in Australia.The spider is common in arid zones and can be found Western NSW, NT, WA, SA, QLD. 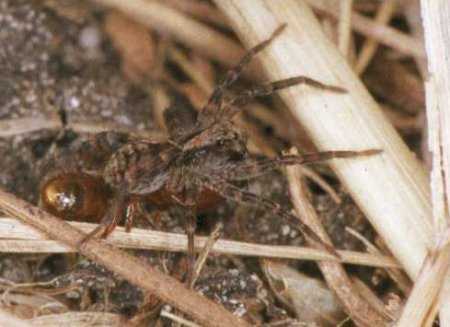 The males measure 10 - 20 mm while the females are 20 - 25 mm. 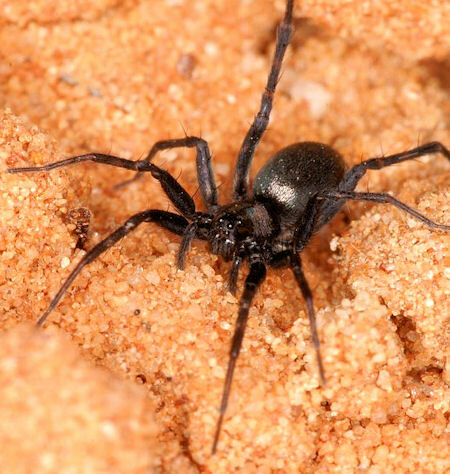 The spider lives in a borrow underground. 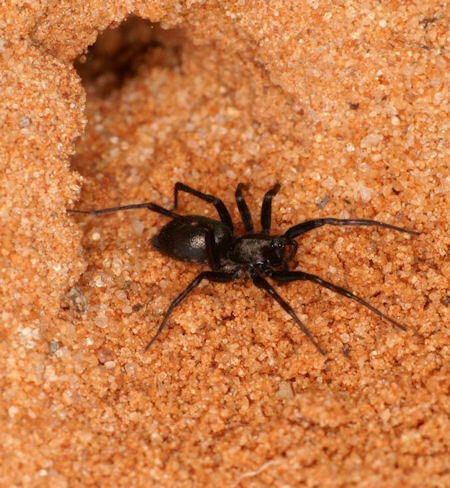 The borrow is closed with a door making the hole almost invisible. 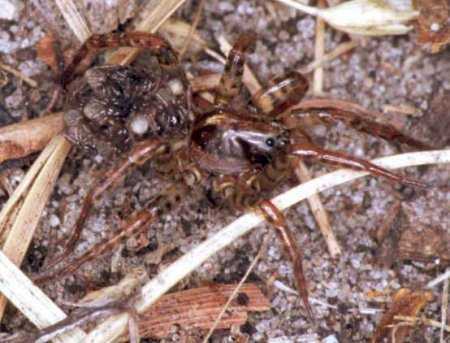 The lid can be seen at the picture under the left hind leg of the spider. 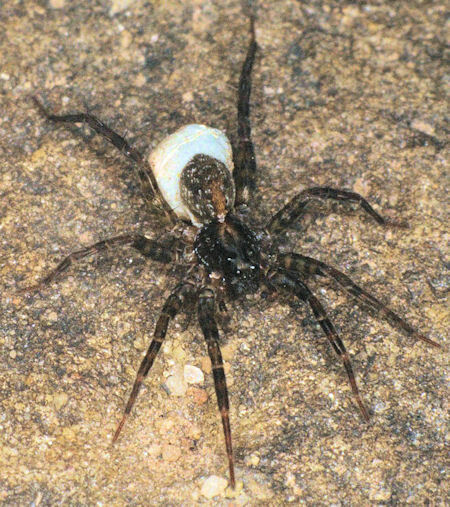 The spider is common in and around Perth. 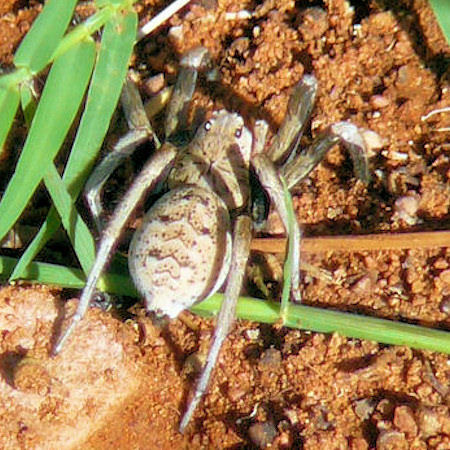 The white dot on the tail is characteristic for this genus.The spider measures 3-4 mm. 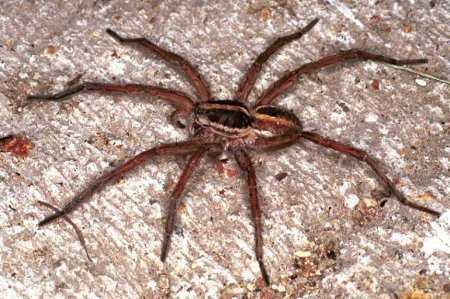 The spider spins a sheet web without a retreat. 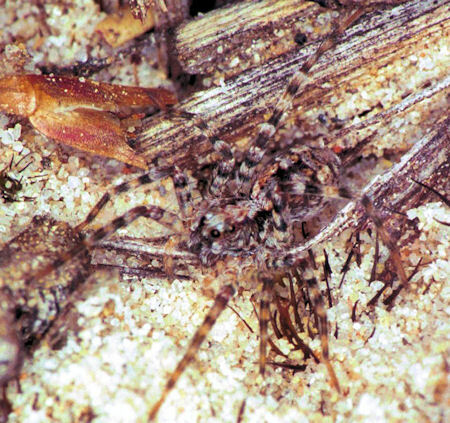 The spiders hunt on the ground. 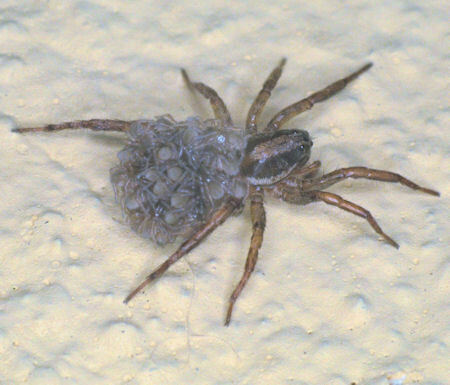 Females attach a sherical egg-sac to their spinnerets and the young are carried on the abdomen of the female. 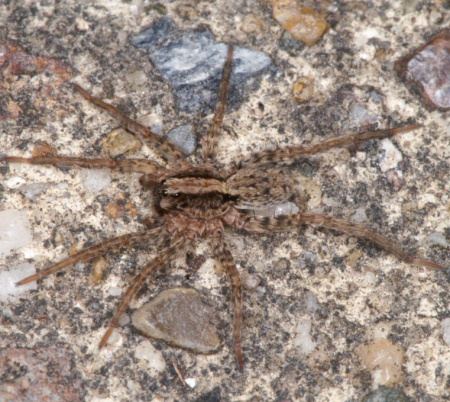 Identification of wolf spiders is difficult from only a picture. 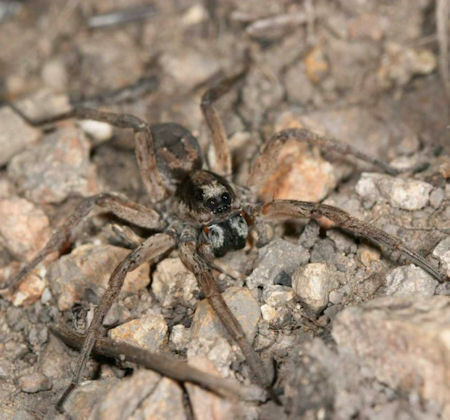 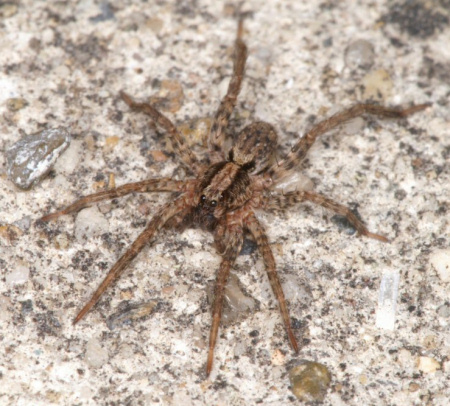 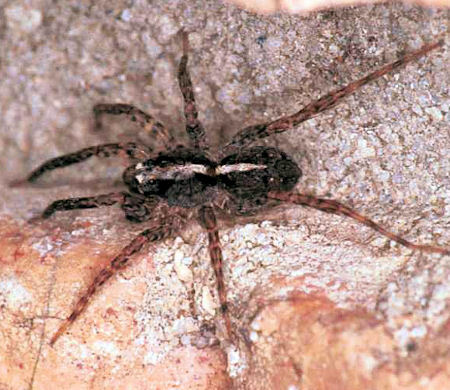 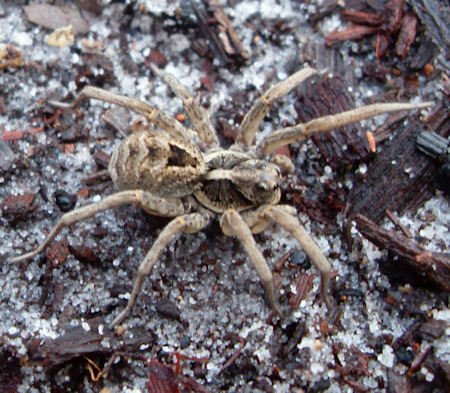 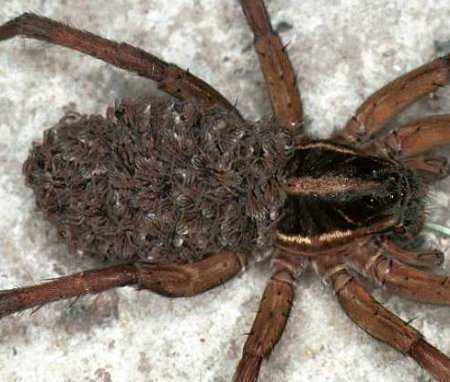 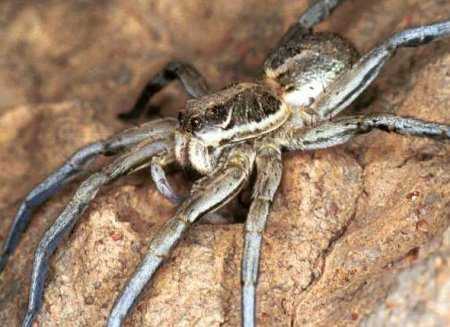 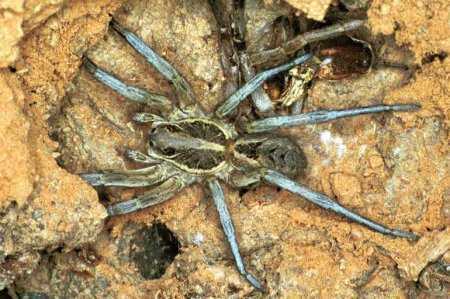 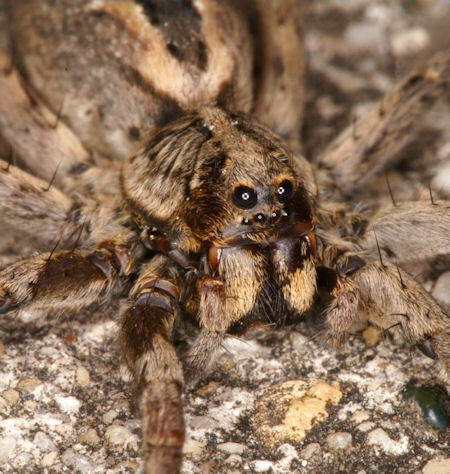 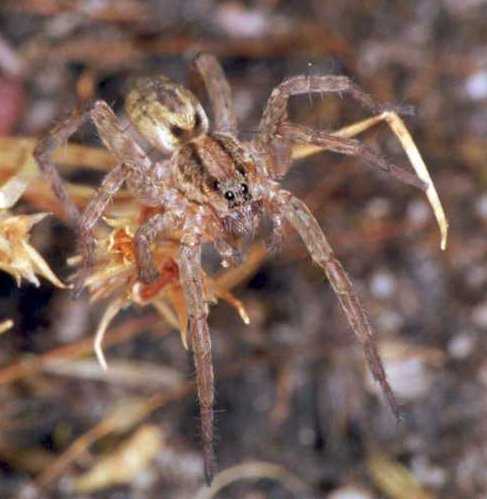 At the moment the genera of wolf spider are revised and genus names are added often.